Gardenia Tile.com, a member of the Hamilton and Halton Home Builders' Association and is a retailer of the finest ceramic, porcelain and natural stone tiles. It is also the major supplier for a large group of builders in the Golden Horseshoe Region. With over twenty years experience, Gardenia Tile.com has developed a reputation for providing products with uncompromised quality, enduring styles, and unsurpassed expertise and innovations. 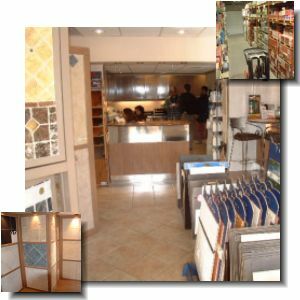 A very friendly and knowledgeable staff are always eager to provide assistance with all your ceramic flooring needs, whether it be choosing a floor uniquely for home, design coordination, or installation.